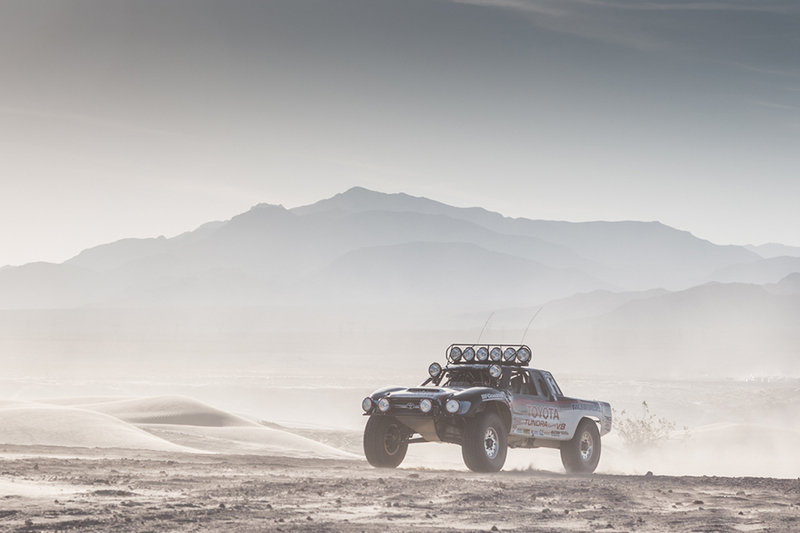 Please contact us for sale inquiries. 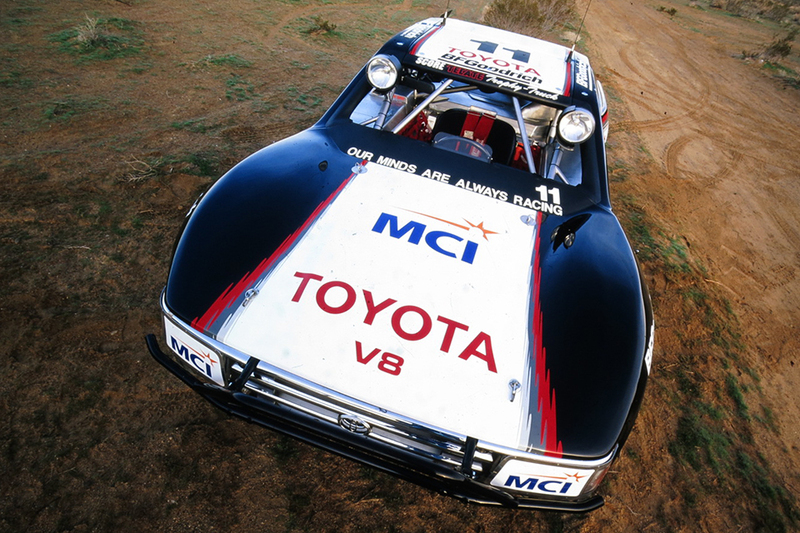 One of the most storied legacies in racing was established by PPI’s partnership with Toyota. 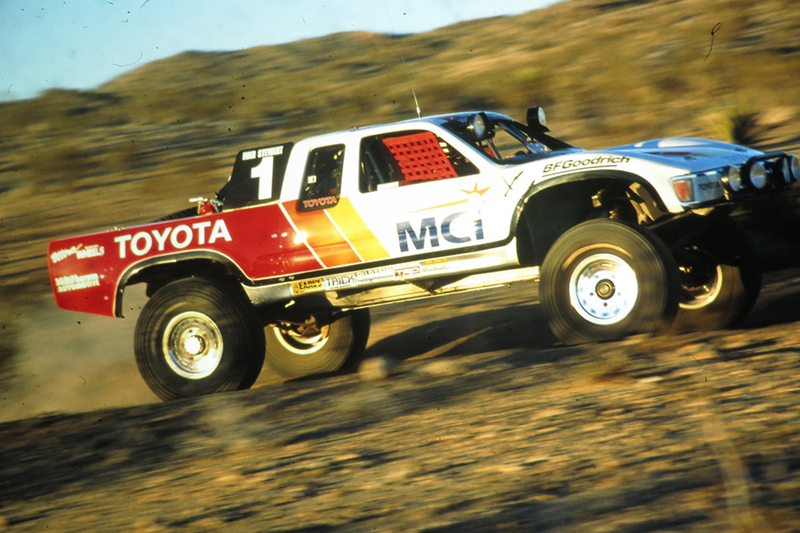 Between 1983 and 2000, the tandem dominated the world of off-road racing with multiple wins and championships in nearly every series they entered. 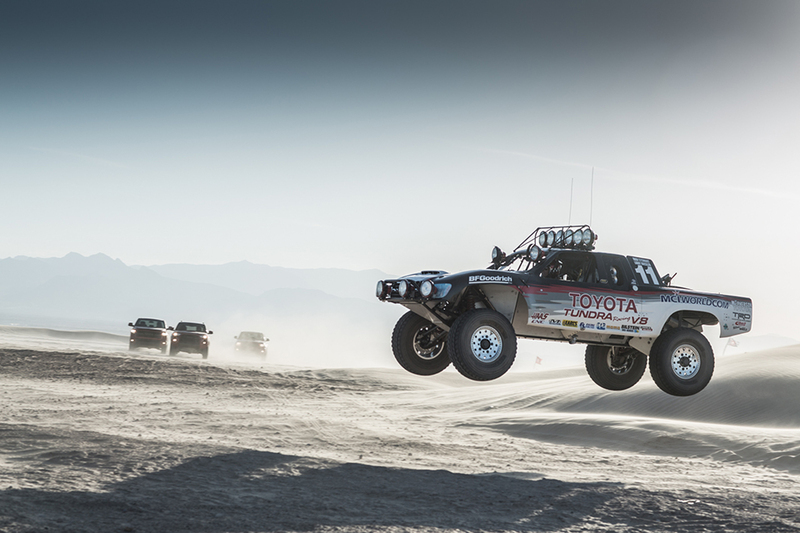 During that time, the PPI-Toyota partnership yielded an indelible record of success. 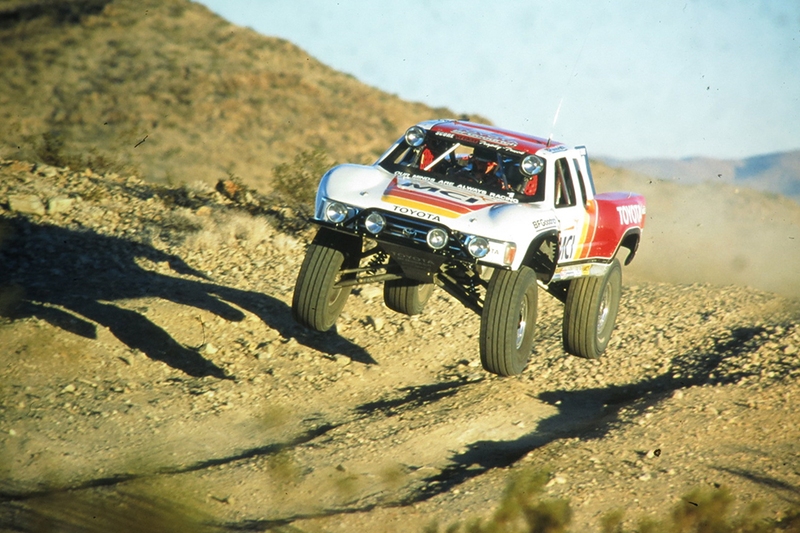 These results include a remarkable ten Baja 500 and two Baja 1000 victories. 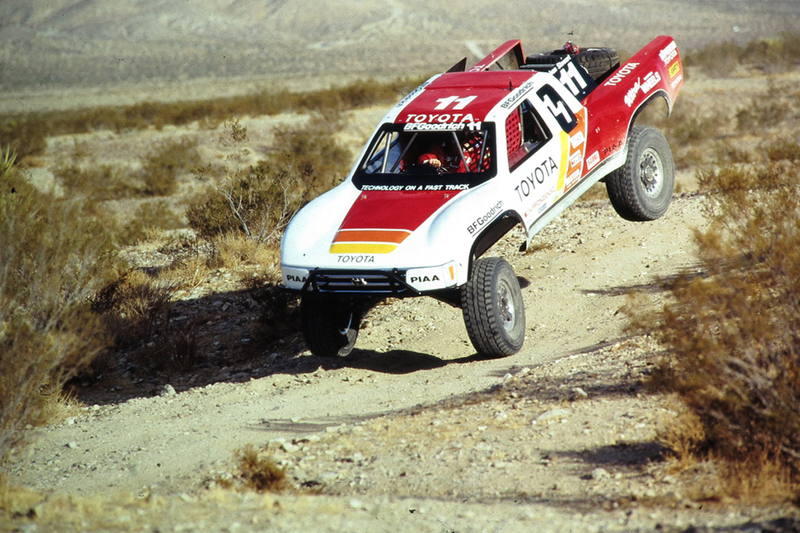 Six of those ten Baja 500 wins were consecutive (1989-1994), and two of them were earned in conjunction with Baja 1000 wins the same years (1993 and 1998). 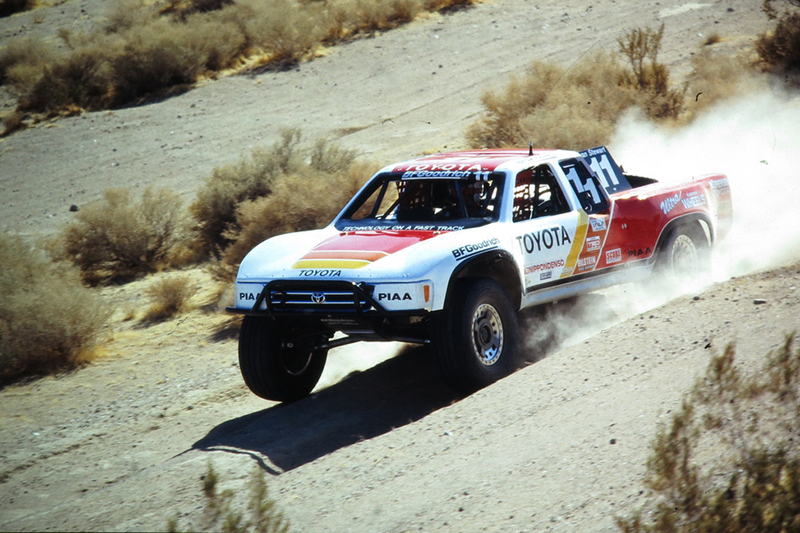 In 1993, the team became the only organization in history to sweep the “Crown Jewels” of desert racing – the Nevada 400, Baja 500, and Baja 1000 – in a single season. 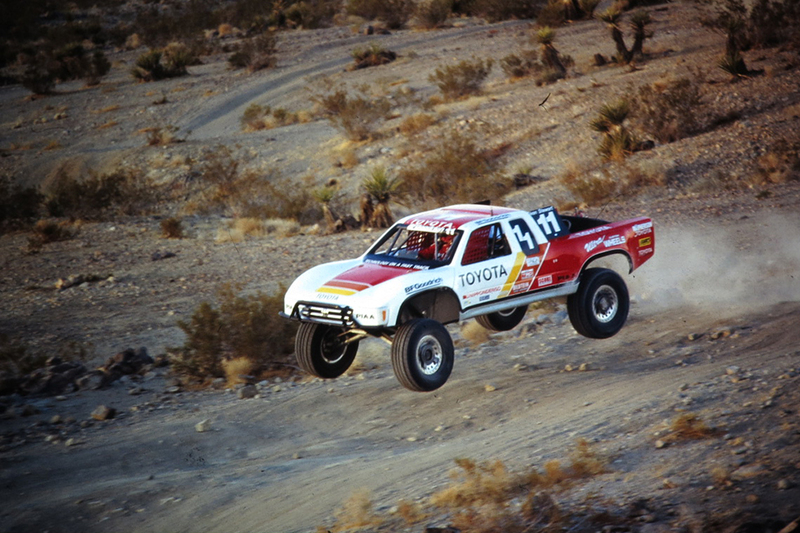 The legend of the PPI/Toyota Trophy Truck would not be complete without acknowledging its legendary driver, Ivan “Ironman” Stewart. 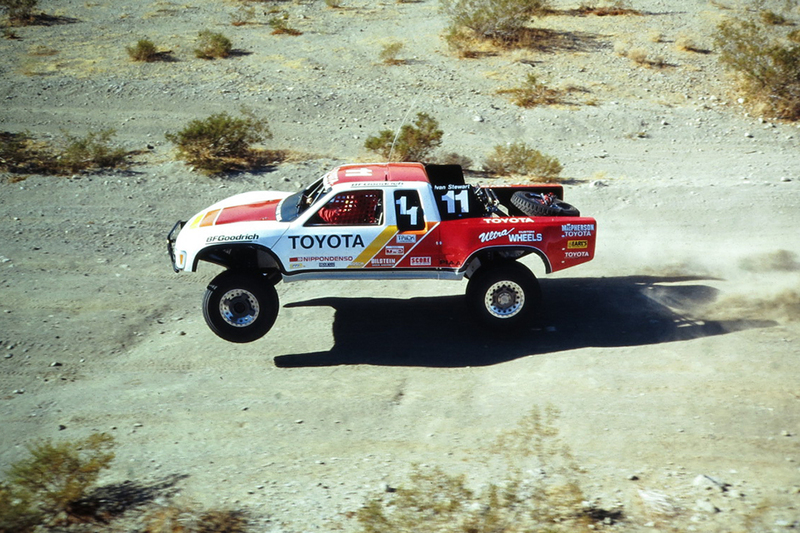 He joined the PPI/Toyota team in 1983 and found instant success in both desert and stadium racing. 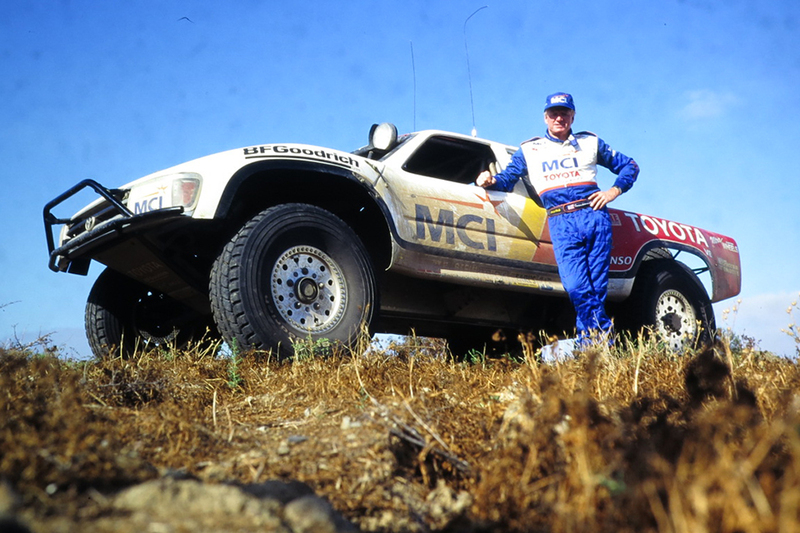 In 1990, he became the only driver in SCORE series history to win both the SCORE Overall and Unlimited Class championships in the same year – a feat he repeated in 1993. 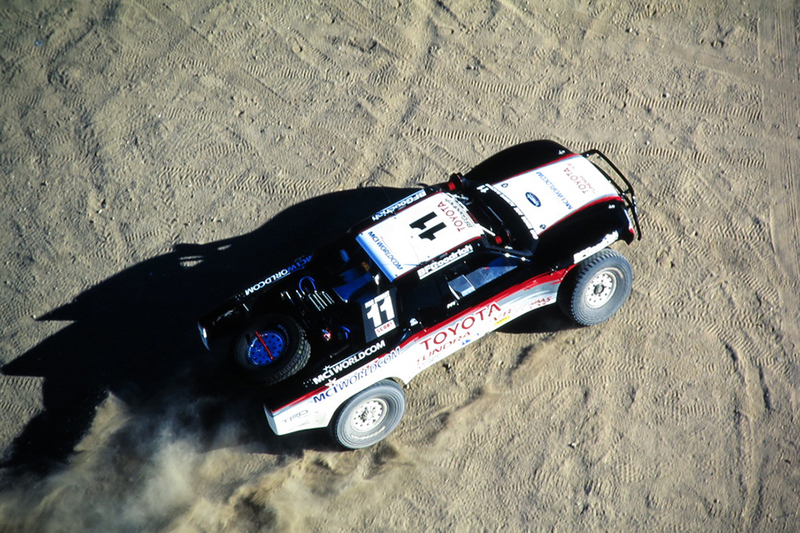 He also holds the record for all-time MTEG wins with 17. 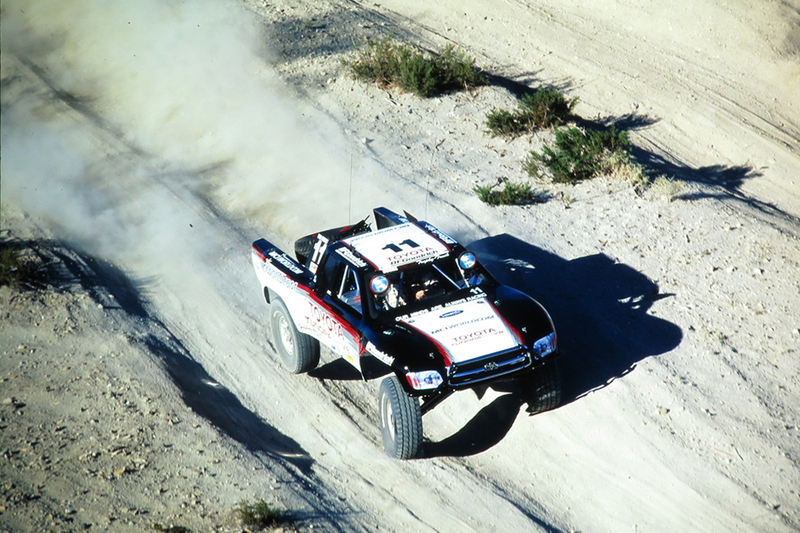 In 2000, Stewart shared co-driving duties with Larry Roeseler, a motorcycle champion who has earned 12 Baja 1000 wins (more than any other competitor in the sport) and nine overall Baja 500 wins. 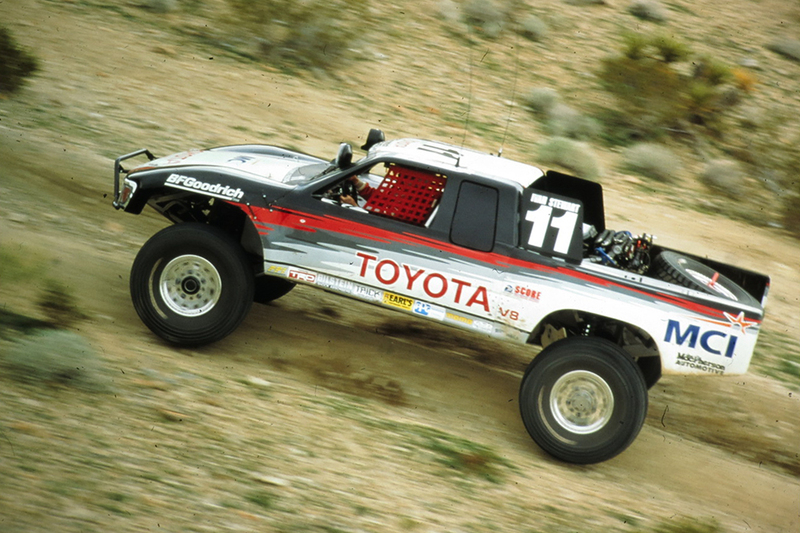 That year, the duo drove the PPI/Toyota entry in two “millennium” events – the Best in the Desert Nevada 2000 and the SCORE Baja 2000. 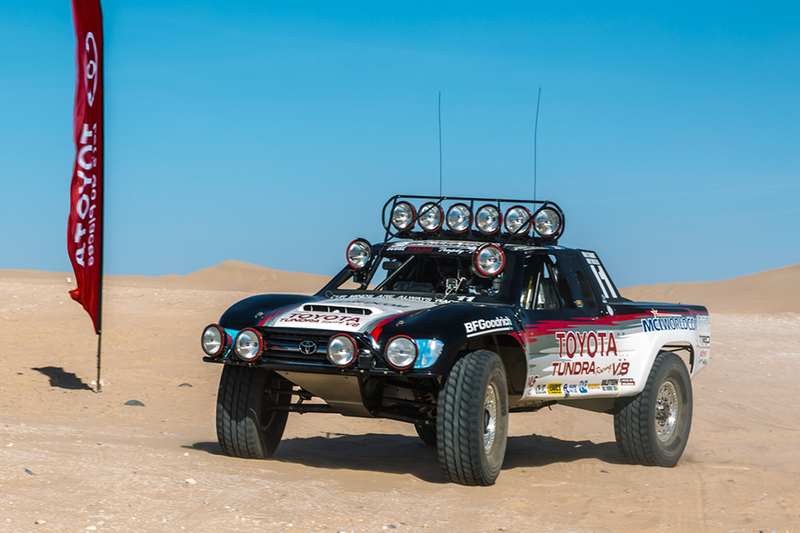 The 015 PPI/Toyota Trophy Truck available for purchase is the last iteration of the highly successful off-road vehicles built by PPI for competition. 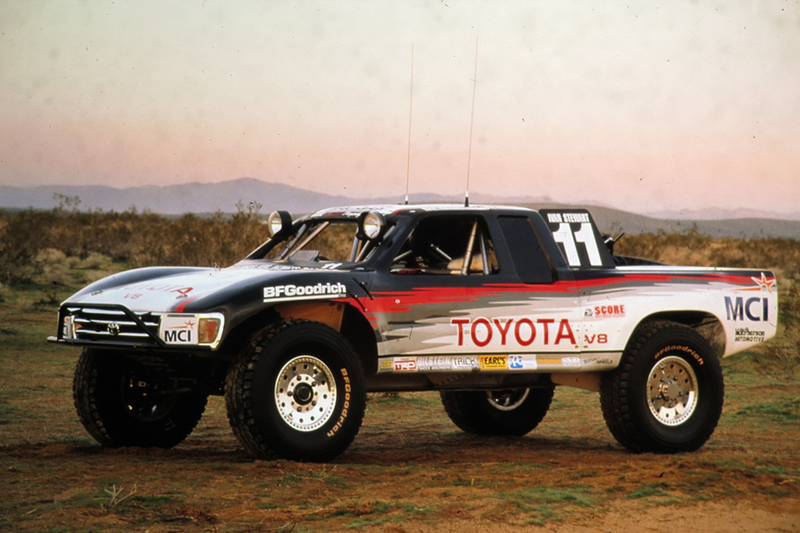 It made its desert debut in 1994 and raced a limited schedule – but still managed to collect ten victories, including four Baja 500 and one Baja 1000 wins. 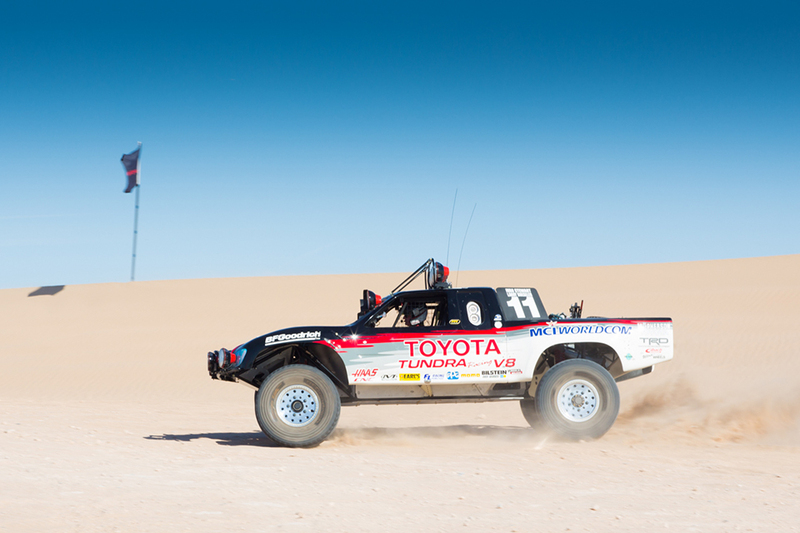 The vehicle features a unique center seat for the driver – showcasing the Ironman’s unparalleled ability to complete entire desert races without a navigator or a relief driver. 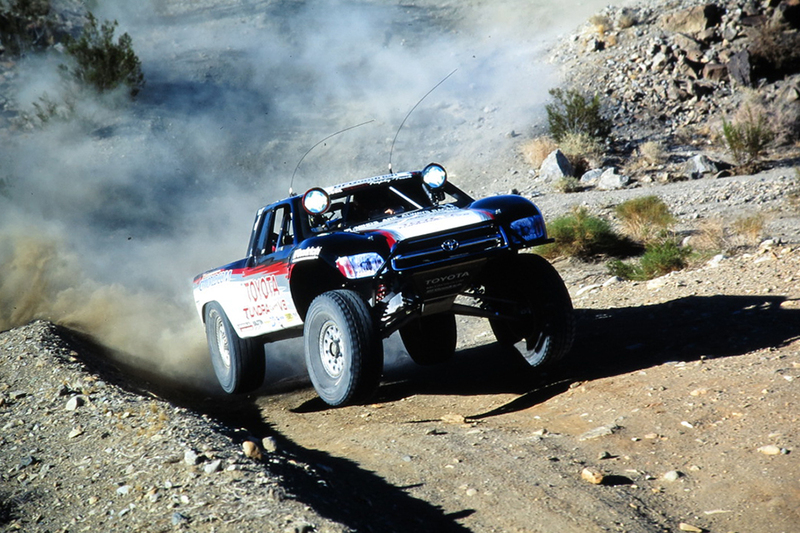 It also comes with a comprehensive package of ancillary items and support materials, including chassis blueprints and related equipment. 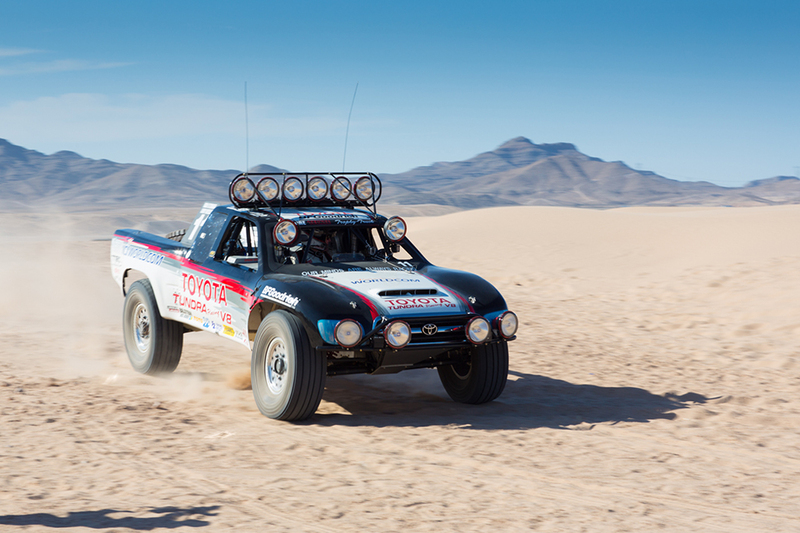 Engine Development and Maintenance Toyota Racing Development (TRD) USA, Inc.